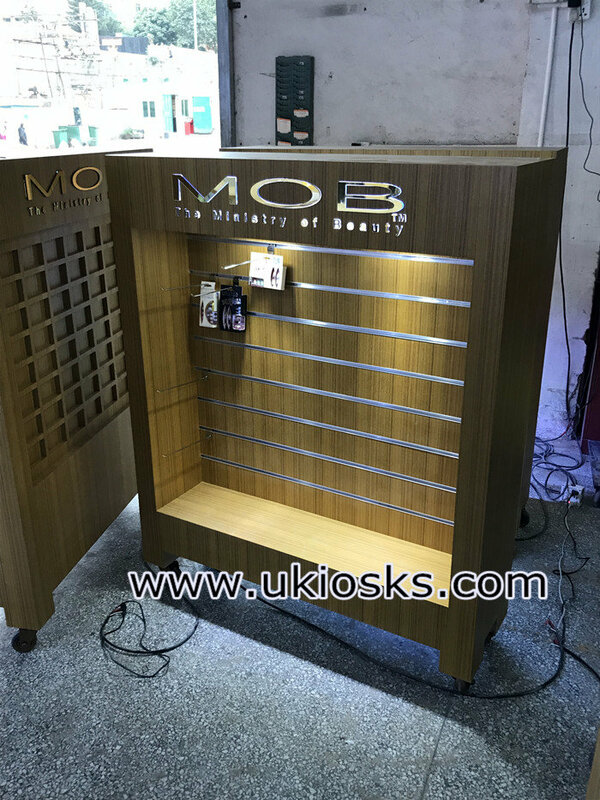 multi-function display kiosk for show various phone covers. 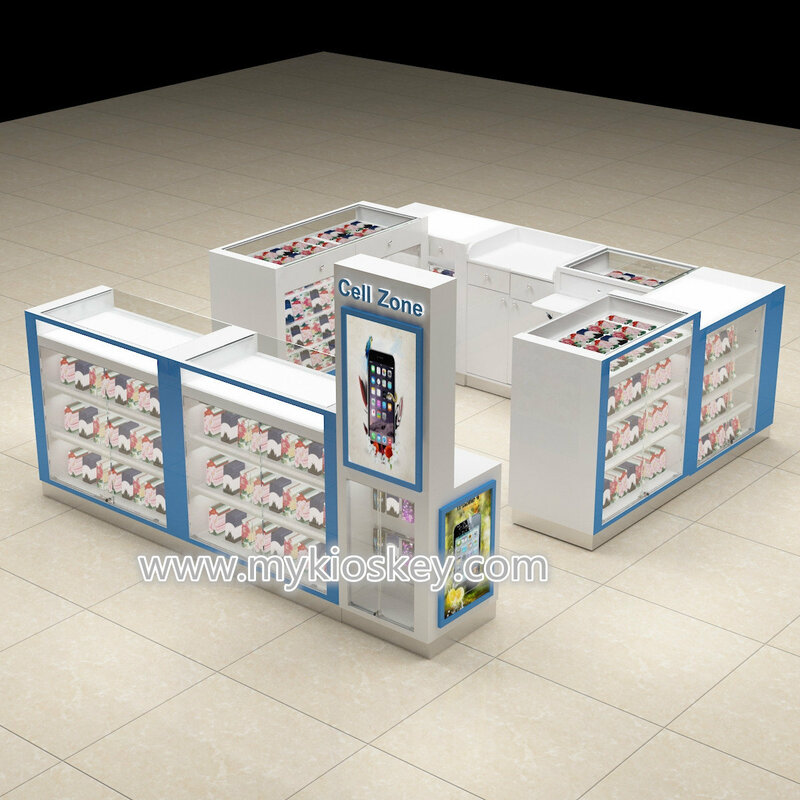 Are you looking for mall kiosk for displaying cell phone covers? Time is flying, today already is 28,Dec. 2018 is coming, also means new year’s day is coming. Ok before holiday, let me share with you about one newest multi-function display kiosk that we just shipped out yesterday night. Firstly, let me show you 3D MAX design as below. Is beautiful? The answer is yes. Basic information for the multi-function display kiosk. Accessories: wires, sockets, switch, light box, logo, etc. Features of this mall cell phone covers display kiosk. 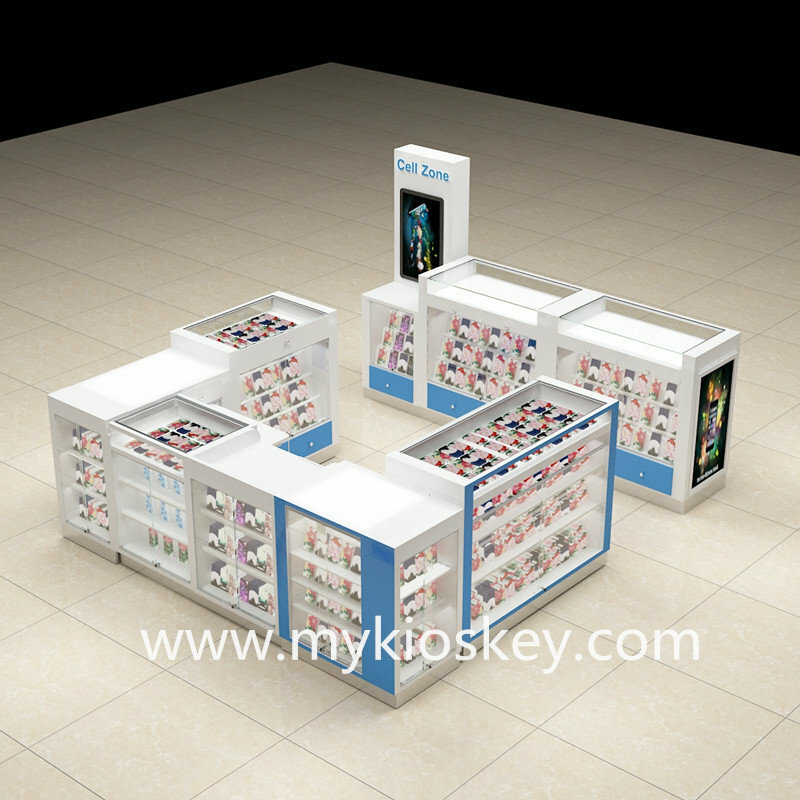 This is one opening mall kiosk, clients can go in to choose nice phone covers. For display, whatever side or top, we make full use to show phone cases. On sides, use shelves to show, on top, use glass showcase which can be pult out, just like drawer. Secondly, let me show some real photos. 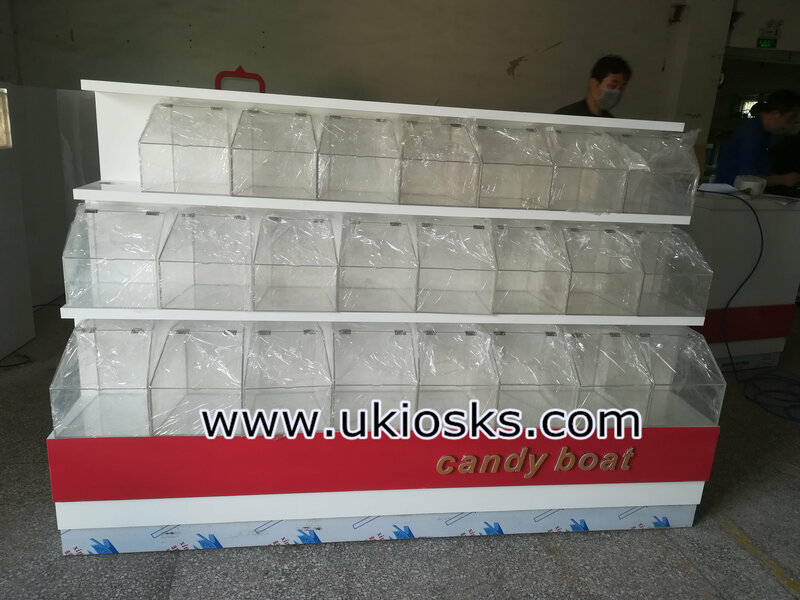 We are the earliest factory of making mall phone kiosk to export in Shenzhen,China. And have done many, so we are worth to trust. If you like to order one,please contact us. We are very happy to service for you.